First Law of Holes: When in a deep hole, stop digging. The completion of a task was scheduled for 3:30pm. We have been pretty good at estimating the time that tasks require, and we have exercised practices that helped ensure that we meet our schedule predictions. We were fairly confident that we were going to complete our task at the desired time, until the lights flickered and dimmed. The fire alarm sounded moments after. The completion of our task at our planned time was ultimately thwarted. 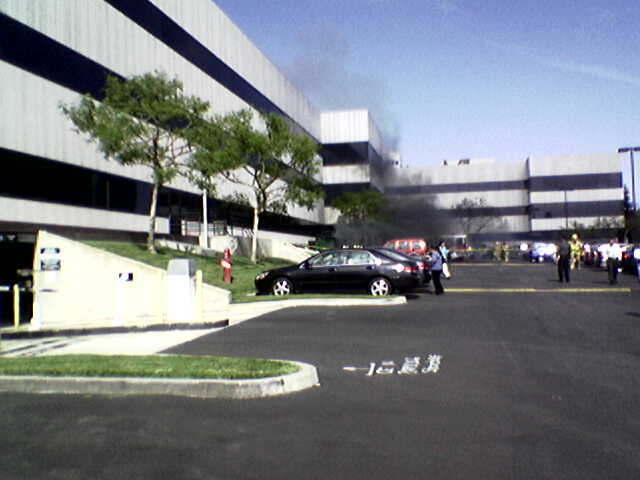 At 3pm on Wednesday of last week, a transformer that supplies power to our building exploded. All of our workstations and servers use backup power supplies, so the loss of a work day was prevented. I am glad that the UPS for my workstation was set up. We saved our work and performed graceful shutdowns on our servers. We would be able to continue our work where we left off when the power is restored. Everyone in the office building exited to the parking lot. Firefighters came and immediately created a perimeter around the transformer. Many people had left to enjoy the remainder of the shortened workday, while others, like Chris and me, were still deciding on what way to spend the rest of the day. Some people were discussing their plans next to the defunct transformer. As Chris and I started toward my car, a flash of light caught the corner of my eye, and I heard a thunderous sound and turned to see a fireball rise above the transformer. The transformer, or perhaps a second transformer that shares the same housing, exploded with people around it. At that time, people felt it was unwise to stay next to the transformer and moved away from it quickly. Fortunately, no one was hurt. A couple of lessons were learned that day. Firstly, even schedules that have a very high probability of being met may experience some slippage caused by external, uncontrollable factors. Secondly, loitering around a transformer, especially one that is known to explode, is not a great idea. This entry was posted on Monday, May 7th, 2007 at 7:50 pm	and is filed under IT Administration, Team Management. You can follow any responses to this entry through the RSS 2.0 feed. You can skip to the end and leave a response. Pinging is currently not allowed. Paul: Are there any warning signs near that thing?